Join us for a community Chanukah menorah lighting! Delicious donuts, classic dreidels, and holiday fun will be on display! Join us for our annual Shofar in the Park and Tashlich Service! 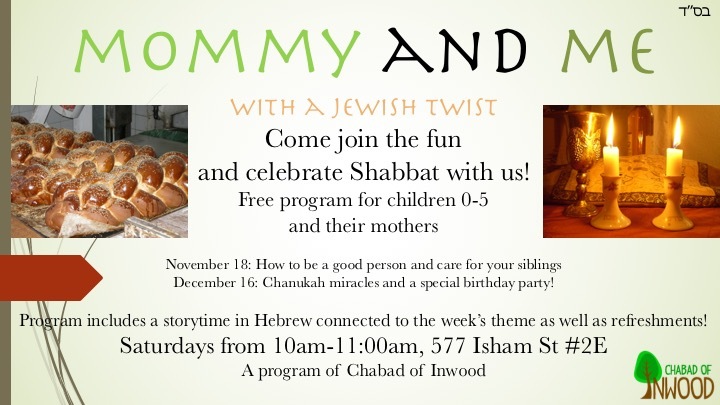 Join us for High Holiday services, events, and meals - right here in Inwood, Manhattan! CKids and the Chocolate Gelt Factory! Happening this Sunday! Join Chabad of Inwood for a day of chocolate-coated amazingness at the Chanukah Gelt Factory! Children learn about the origins of this delicacy as they try their hand at crushing cacao beans of their own. Then, using an “ancient” secret gelt recipe, participants get cooking as they mix, pour and wrap their own special chocolate coins. The fun keeps going with a STEM inspired project, combining lights, wires and action. Children create their very own, light-up, LED menorah to hang in their car window, illuminating their streets in Jewish celebration and pride. 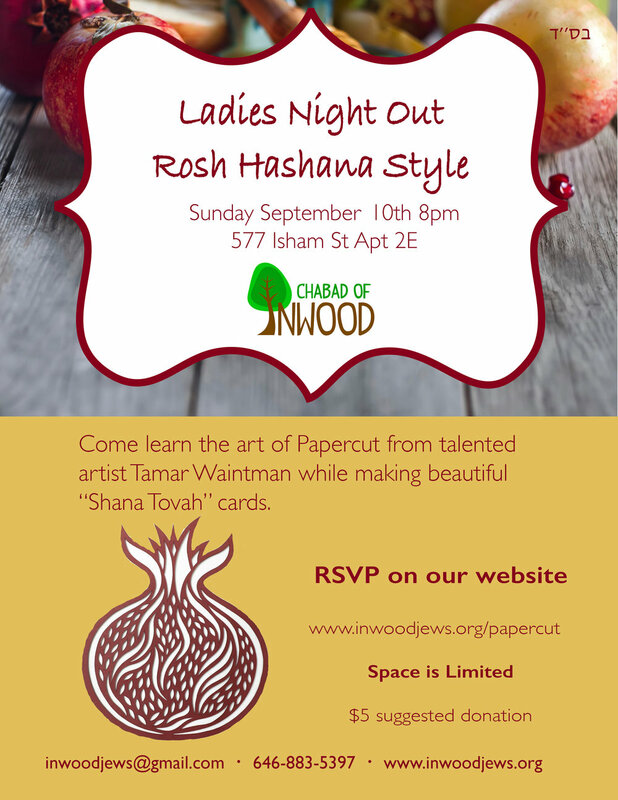 To learn more or to register your child please contact us at inwoodjews@gmail.com. Come design and create your very own flag for Simchat Torah in the Sukkah! On Simchat Torah we dance with the Torah, wave flags and sing as we celebrate another year completed and a new year beginning! Join us for our yearly Lag B'Omer BBQ! Sign up on the website here!